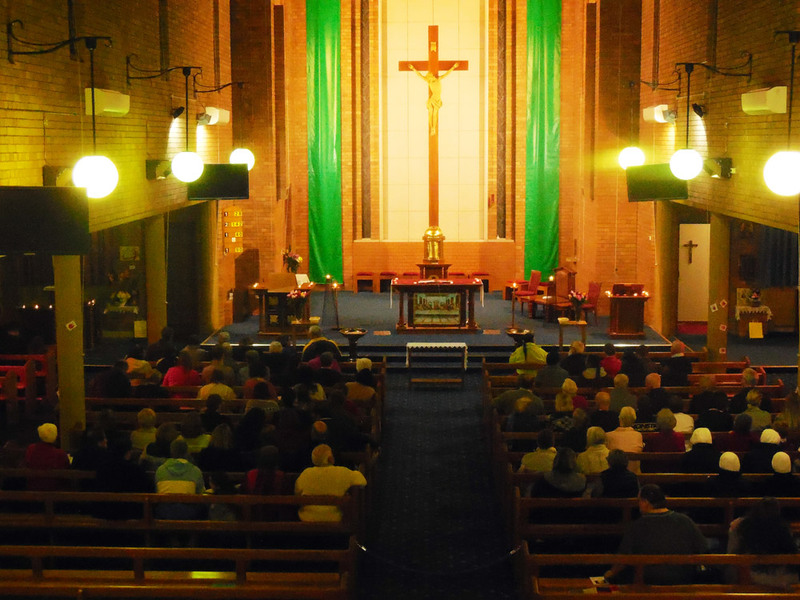 St, Raphael’s, Queanbeyan, annual Candlelight Memorial Service was held September 17. This Service, an initiative of St. Raphael’s Bereavement Support Group, is intended to offer comfort and hope to those who are involuntarily recruited to the pilgrimage of grief and loss, invariably imposed by the death of a loved one. Those who have had recent bereavements receive invitations to attend. Many, whose bereavement is more distant, now anticipate it as an essential part of their spiritual calendar year. The Service, as suggested by the title, has an emphasis on light, solitude and hope. There is a focus on participation, with sharing of prayers between those read and those jointly recited, with interspersed music, and shared reflective time, in darkness. Everyone is invited to write/remember their loved one by writing their names in The Bereavement Memorial Book, light a candle and take a rose, symbols of light and hope respectively. Attendees value it as offering spiritual and emotional solace both in the reflective nature of the Service and the opportunity it offers to experience communality of support from those on a similar journey.